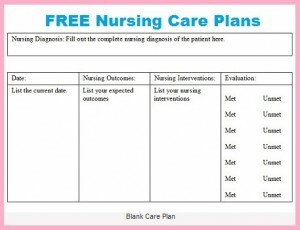 This nursing care plan is for patients who have a hip fracture. A hip fracture, as known as a femoral fracture, occurs on the proximal end of the femur. The number one cause of hip fractures is related to osteoporosis which causes weak bones. Many patient who have hip fractures report feeling the bone “give away” and then they fall. Another common reason for a hip fracture is due to a high trauma accident like car wreck. Majority of patients plagued with hip fractures are elderly women (ages 70s or older). Patient who have hip fractures will present with a lower extremity that looks shorter than the other and the extremity will be externally rotated. Hip fractures are easily diagnosis with a AP and Lateral x-ray or MRI. Most hip fractures are fixed with surgery. 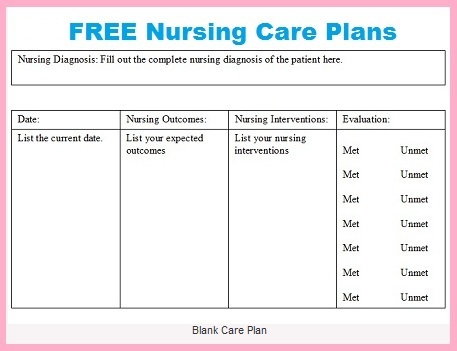 Below is a nursing care plan and diagnosis for a patient with a hip fracture. A 76 year old female is admitted with a hip fracture. The patient’s family is with her. The patient’s family states that their mother was trying to walk up a hill in their back yard and “all of a sudden” fell down. The patient lives with her children. You note on assessment the patient right leg looks shorter than her left and is externally rotated. VS are BP 160/86, HR 96, Temp 98.6, RR 16, oxygen saturation 98%. The patient does moan out in pain frequently and rates pain 8 on 1-10 scale. The md orders the patient to have morphine 1-2 mg every 4 hours as needed for pain. After administering this the patient appears more comfortable. The patient has a health history of osteoporosis, gout, hypotension, UTI’s, and PNA. The recent xray shows the patient as a Intra-Trochanteric fracture of the hip. Orthopedic surgery is consulted who orders for the patient to have surgery is the am. Impaired physical mobility related to decrease strength and endurance secondary to hip fracture as evidence by x-ray showing Intra-Trochanteric fracture of the hip. The patient’s family states that their mother was trying to walk up a hill in their back yard and “all of a sudden” fell down. Rates pain 8 on 1-10 scale. A 76 year old female is admitted with a hip fracture. The patient’s family is with her. The patient lives with her children. You note on assessment the patient right leg looks shorter than her left and is externally rotated. VS are BP 160/86, HR 96, Temp 98.6, RR 16, oxygen saturation 98%. The patient does moan out in pain frequently. The md orders the patient to have morphine 1-2 mg every 4 hours as needed for pain. After administering this the patient appears more comfortable. The patient has a health history of osteoporosis, gout, hypotension, UTI’s, and PNA. The recent xray shows the patient as a Intra-Trochanteric fracture of the hip. Orthopedic surgery is consulted who orders for the patient to have surgery is the am. -The patient will verbalize understanding of surgery. -The patient will participate in post-opt exercises to increase mobilization. -The patient will be free from any DVTs. -The patient will demonstrate correctly how to use the trochanter roll to help hip alignment. -The patient will demonstrate how to properly change positions to relieve pressure with a little pain possible. -The patient will demonstrate how to properly use trapeze bar when transferring in bed. -The nurse educate and provide the patient with reading material on hip surgery. -The nurse will asssess the patient questions and concerns about her hip surgery. -The nurse and physical therapy will educate and demonstrate to the patient post-opt exercises to increase mobilization. -The nurse will ensure patient wears compression stockings and SCD device daily to decrease DVT development. -The nurse will educate the patient how to correctly how to use the trochanter roll to help hip alignment. -The nurse will educate the patient how to properly change positions to relieve pressure with a little pain possible. -The nurse will educate the patient how to properly use trapeze bar when transferring in bed.